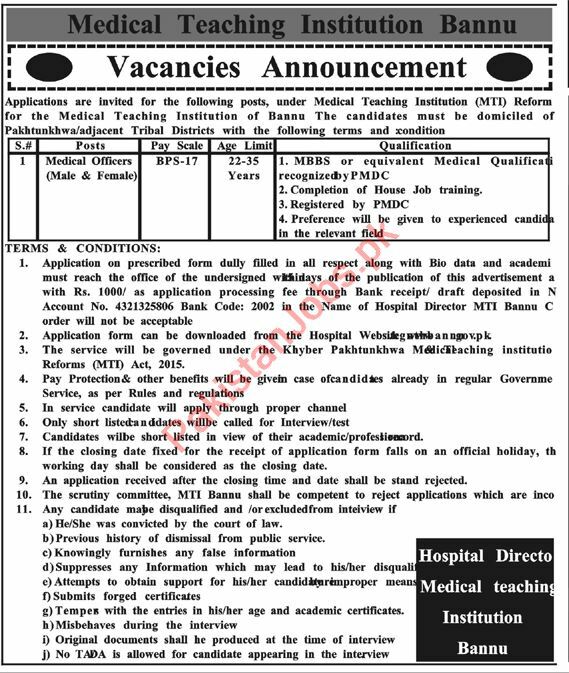 Medical Teaching Institution MTI is looking for highly qualified candidates for the posts of Medical Officer in Bannu. Candidate must have MBBS degree registered by PMDC. Interested candidates can contact on given details for more information.